Even in this modern age, there’s something very special about having your wedding photographs printed. Being able to hold your wedding album in your hands, to feel the quality of the paper and to take in the amazing colour and detail is, in my option, priceless. Sitting down together and sharing the memories of your special day with your loved ones is far more personal than moving through a slide show on your laptop or mobile, that’s why I offer the option to have your wedding photographs printed in either the form of a beautifully presented, professional coffee table book or a luxury fine art album. All of your favourite photos from your wedding in Cornwall are printed in exceptional detail and act as a beautiful keepsake of the day. Each beautifully presented, linen covered, professional photo book is guaranteed to delight. The printed paper flows like a traditional book with a bowed centre and is printed using the latest digital press technology. 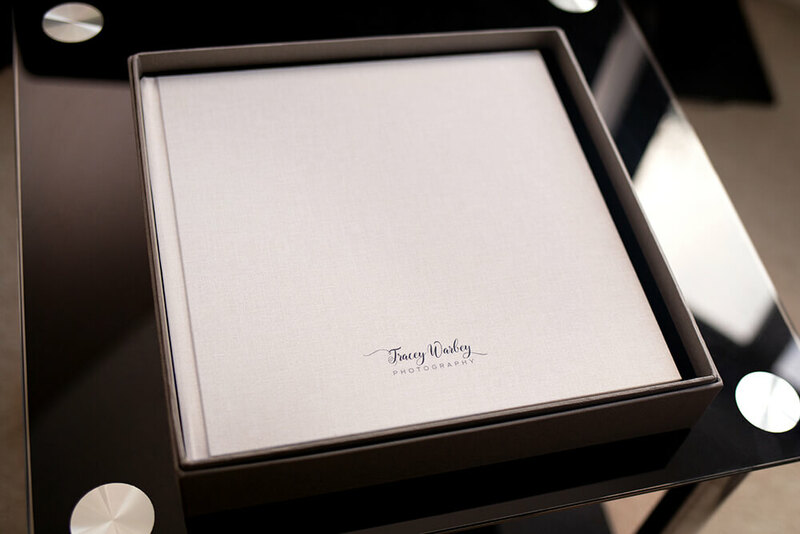 Presented in a linen gift box, it comes in a square format (25 x 25cm) with 40 pages and contains between 60 – 80 stunning photographs of your wedding day. 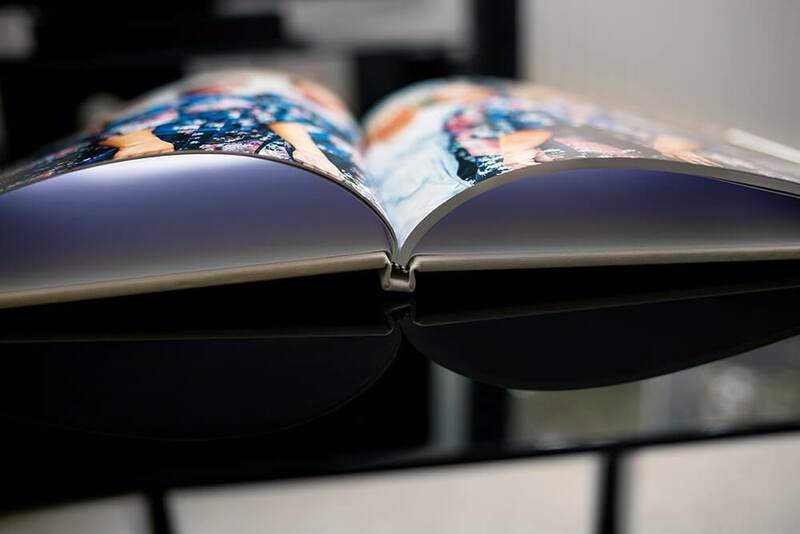 Pre-designed by myself, the photo book images are carefully selected to represent your story. These wedding photo books start at £200 for 40 pages and can be expanded if you would like more photos added. Bound by a team of expert book binders, this luxurious album will surely take your breath away. Both ink and paper are archival, guaranteeing a lifetime of gorgeous colour. This fine art book has a beautiful, soft cowhide leather cover, sourced locally from the UK. Press printed, smaller duplicates are also available to order as parent albums. Please contact me for pricing regarding these. 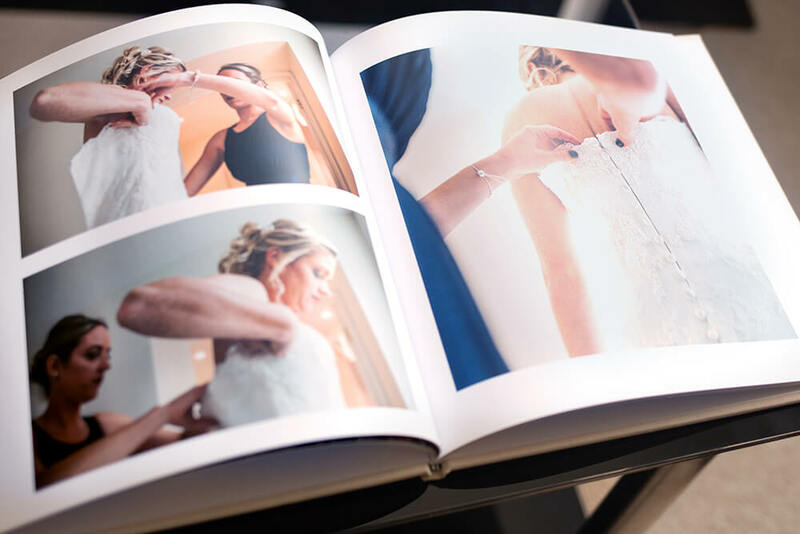 Presented in an embossed gift box, this fine art book comes in a square format (25 x 25cm) with 40 pages and contains between 60 – 80 stunning photographs of your wedding day. These wedding fine art books start at £400 for 40 pages and can be expanded if you would like more photos added. If you would like to discuss booking me as your wedding photographer in Cornwall and adding either a professional wedding photo book or a fine art album to your digital package, please feel free to get in touch.